I opened a small bonsai pots online store on 'Etsy' last year. Why did I it? Because I have a dream. I love bonsai very much. It was about 6 years ago that I start taking interest in this fascinating world of small trees on and small pots and began learning more about it. Although there are many fascinating aspects to doing bonsai, one of the most notable would be that you can actually create beautiful art with plants and pots.Even some nameless weeds in yard will become beautiful objects with cool bonsai pots. Having noticed this, I came to love bonsai pots all the more. I like pondering deeply about what the best combination of plants and bonsai pots is. Such as …which glazed pots should I choose to bring out the best in this ‘Ume’ tree? 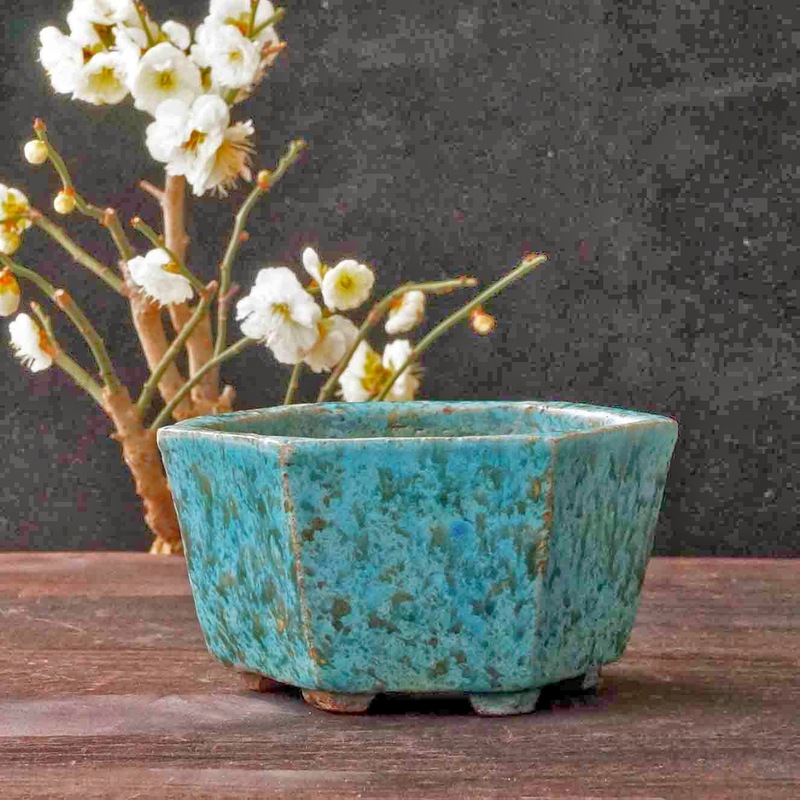 Fortunately there are a lot of cool bonsai pots of various colors and shapes in Japan, and there are many great potters who possess high knowledge and skills on pottery and a keen sense of beauty. I have been collecting beautiful bonsai pots for the last three years. Sometimes I visit oldest kilns in Japan, such as Tokoname (Aichi Prefecture). I like to talk to potters and hear the stories about how they feel or think about their works. Today, Bonsai is very popular around the world. According to some survey, there are more than 10 million bonsai enthusiasts in the world. And they are increasing year by year. So I hope I could appeal to the world the intricacy and fine sense of small Japanese bonsai pots. 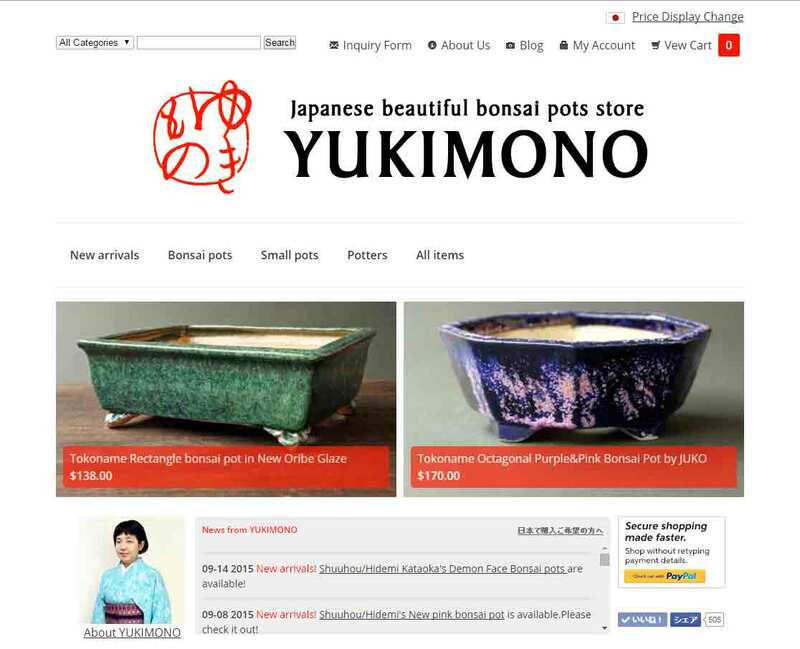 I know that there are so many great potters of bonsai pots, not only Japan but also in the world and sometimes I wonder about how I could introduce their great works to Japan. My store is the first step towards my dream.